When I heard that Westerham had started canning I just had to get hold of a couple to try. And I’m really glad that I did. This is a superb Chocolate Stout brewed with cocoa nibs, vanilla and chocolate essence, along with layers and layers of dark sweet malts. 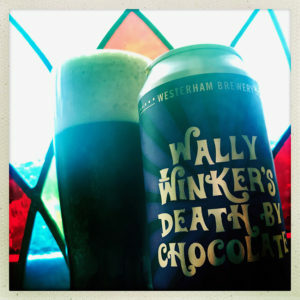 The body is an enormous chewy treacle tart and custard, brown bread, honey and Daim bar delight, and the hops – Progress, if you were wondering – lurk at the edges with a subtle snap of pithy green foliage. But for me it’s the way that the malts and the adjuncts work together to create a lovely boozy bar of chocolate experience. 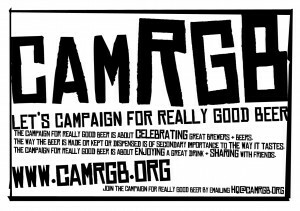 This entry was posted in Beer Review, CAMRGB and tagged Beer, Beer Review, CAMRGB, Can, Canned beer, Chocolate, Cocoa, Drinking, Flavoured Beer, Spiced Beer, Stout, Vanilla. Bookmark the permalink.